The Fishing Islands aren't just for Fishing any more! Take a tour with Bruce Peninsula Boat Tours or Tobermory Wave Adventures to see the marks of glaciation and rare coastal environment that is home to species like bald eagles, reptiles and heron rookeries in person. View the rare sighting of two shallow shipwrecks right from the naked eye. 845 kms of coastline?! Sign me up for a boat tour! 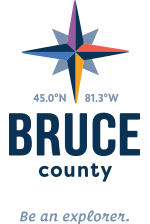 Bruce County is known for its stunning scenery and its crystal-clear waters. When you’re craving a day off your feet, take a daytrip adventure on one of the many boat tours in the area. Your Chantry Island Lighthouse Tour will guide you through the many underwater shoals that have made this area one of the most treacherous of the Great Lakes. During your two-hour guided visit, you will stroll back in time to the 1800’s as you wander through Light Keeper's Cottage and surrounding gardens. Climb to the top of the Imperial Lighthouse for extraordinary views and spot many of the birds that call this island home. Depending on the weather, you might be lucky enough to catch a glimpse of one of the 50 shipwrecks that surround the island. Located at tip of the Bruce Peninsula, Flowerpot Island is a scuba diver’s paradise, an explorer’s dream and a family’s memorable vacation. Flowerpot Island is located in Fathom Five National Marine Park, 6.5 km off the shore of Tobermory and is only accessible by boat. Blue Heron Cruises and Bruce Anchor Cruises are two boat tour companies that make multiple trips daily beginning in the spring until mid-fall. You can camp there! Your best bet is to pack a picnic and hike the island trails to its unique flowerpot formations, caves and light station (maintained by volunteers). Hike lengths vary from 1 ½ to up to 5 hours. Make your way from Tobermory to Manitoulin Island, the world’s largest freshwater island by way of the MS Chi-Cheemaun ferry. Manitoulin Island is a popular destination for campers, cottagers, fishing enthusiasts, hikers and cyclists alike for the picturesque roads and hiking trails. The population magnifies and the island really comes alive with Bridal Veil Falls or get lost in the view at the Cup and sauser Trail. If your a light house seeker there are many to choose from on the island. Here is a couple to look for Manitowaning light house, Little Current as well as Strawberry Island light house. Did we mention the great fishing? For more information on Boat Tours, visit here. Looking for more ways to daytrip? Now available for download, the Trails Map and Paddling Map are the perfect companion pieces when you're planning your trip or looking for more ways to explore!